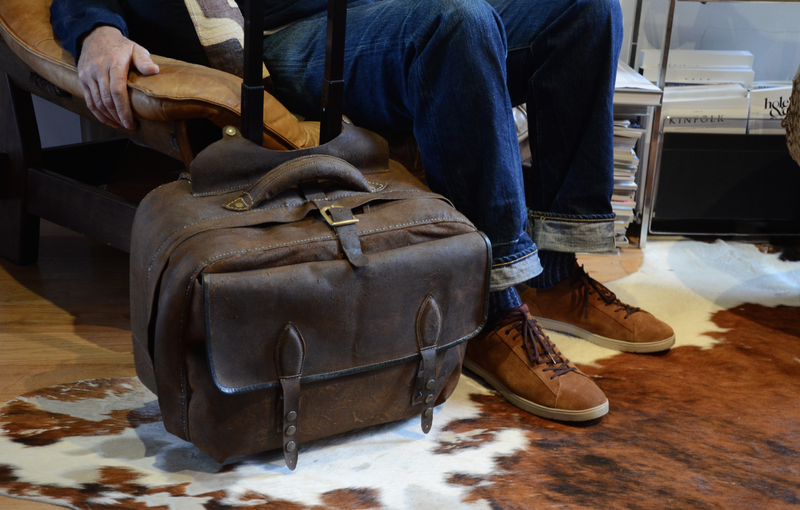 This is a one-off buffalo leather travel bag on wheels specially hand worked by Nivaldo. Retractable long handle for wheeling the bag and another comfortable handle for carrying it. 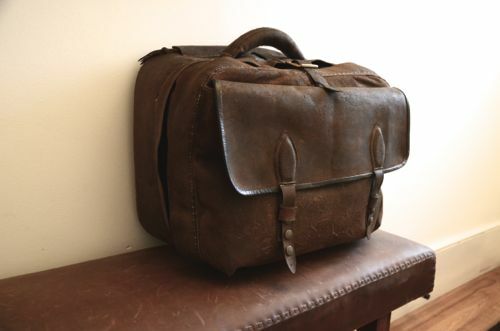 Buckled front compartment which is perfect for laptop. Inside divided into two large, zipped internal compartments, each with another big pocket. Flat zipped compartment on the reverse which is perfect for documents. The leather has been aged by Nivaldo and has some lovely hand stitching on it.